This is a vegetarian recipe, and vegan if you omit the cheese, but you could totes add grilled chicken or turkey or any protein your little heart desires. 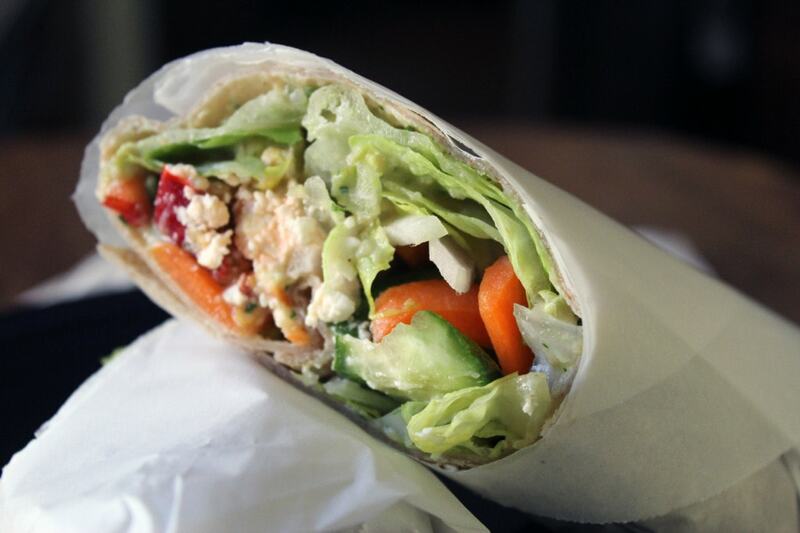 The feta and the hummus make it filling enough for me, though. In addition to that I went with lettuce, carrots, cucumber, onion, whole wheat wraps, and pickled sweet peppers. The peppers are the KEY to this whole thing, so you gotta get them. They’re on the Panera sandwich and probably what makes it so dang good – not hot, not too tangy, just the right blend of vinegar and sugar, which is great with all the really salty cheese and hummus. Trust me. You could also add any other veggies that you like! I build these directly on parchment because I find that it’s a little bit easier to wrap if the paper is already there for you to work with. So. Smear a good layer of hummus all over the tortilla, then top it with any ingredients you like! To wrap, I kind of do the burrito method: fold in the ends, then tightly roll the wrap starting with the end close to you. If the ingredients start to escape, just push them up under the tortilla back into the wrap. Then, wrap the whole thing in parchment paper and cut it in half! 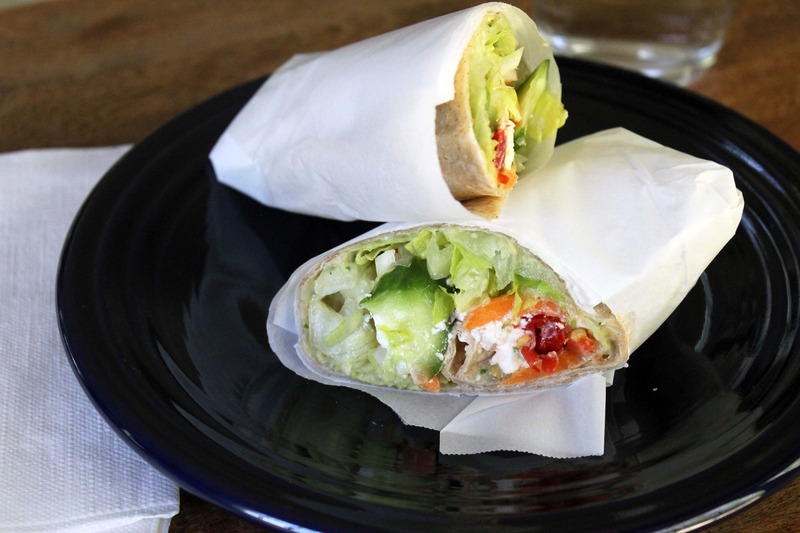 The key here is to wrap this shiz TIGHTLY so that when you go to eat it lettuce and feta aren’t flying willy nilly around your life. If it takes a few times to get the wrap right, who cares? The ingredients end up mixed together anyway, so you can definitely unwrap and start again. I’m super psyched that I managed this knockoff sandwich without 300 extra calories of bread, yummy as that might be. Make this soon for lunch! Arrange one of the tortillas on a piece of foil or parchment paper. Spread with half the hummus, then layer half of each of the other ingredients on top. Tuck in the sides of the wrap and tightly roll the tortilla up, pushing in any stray ingredients with your fingers as you go. 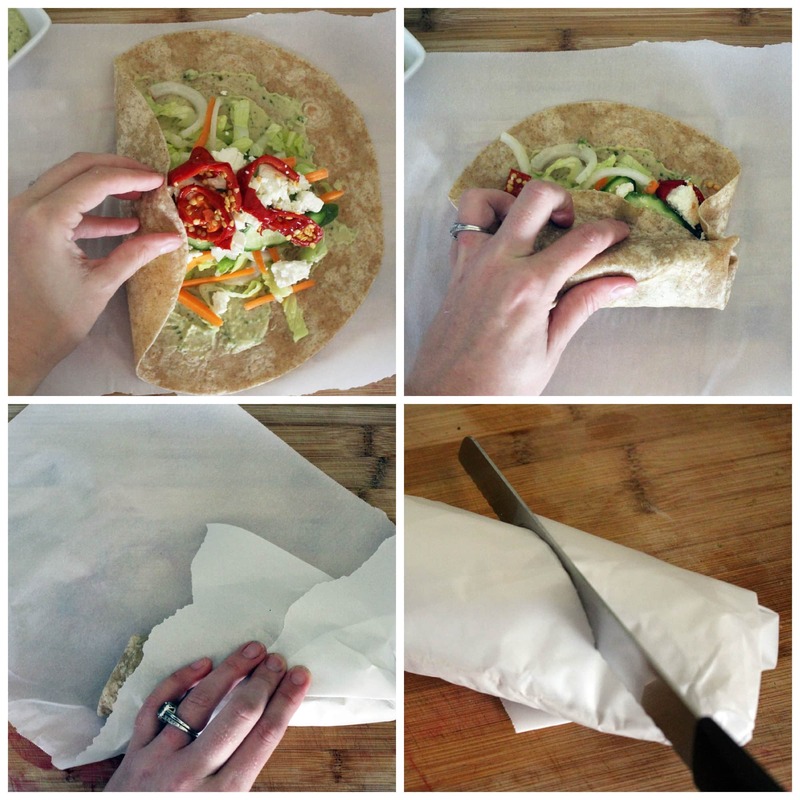 Wrap tightly in the parchment paper, and use a serrated knife to cut the whole thing in half. 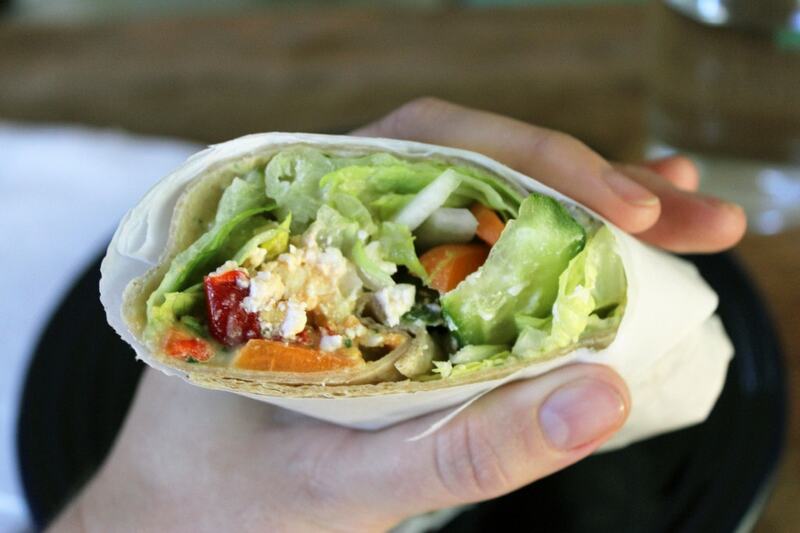 Repeat with the other wrap and remaining ingredients. Enjoy! Combine all the ingredients in a food processor. Taste! Add more olive oil if you'd like a thinner, smoother hummus, or more salt and cilantro for flavor.